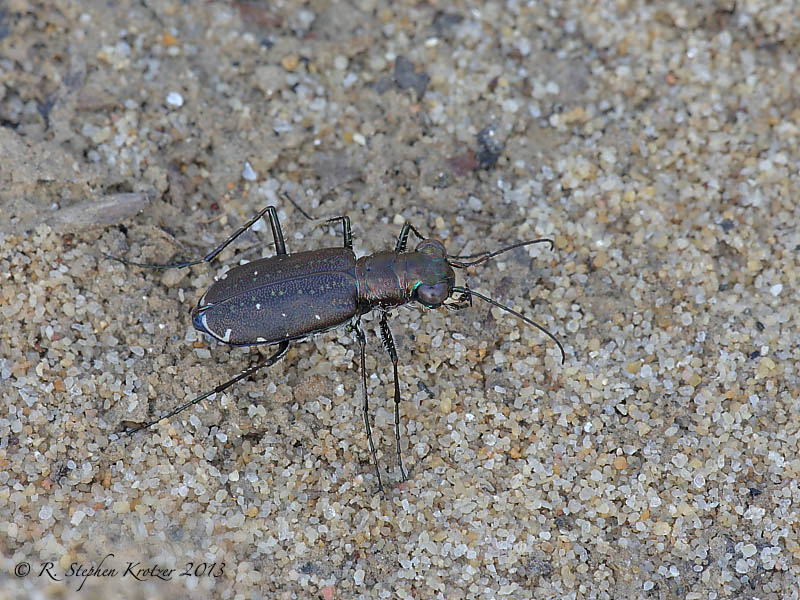 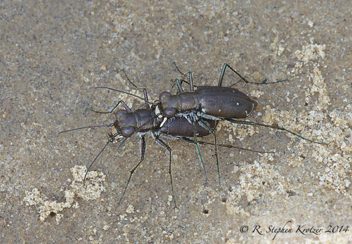 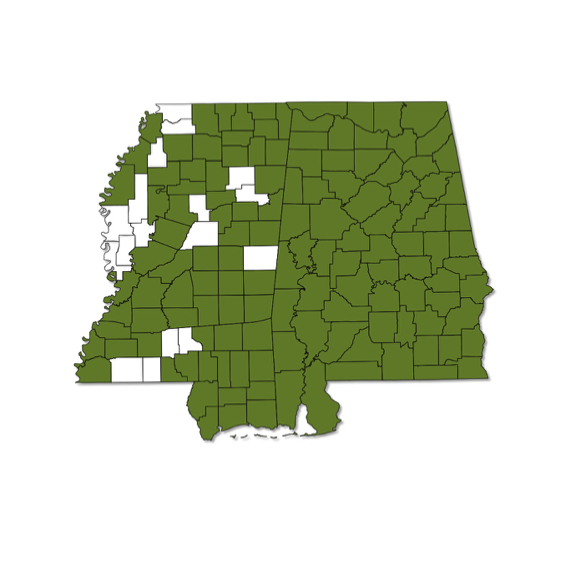 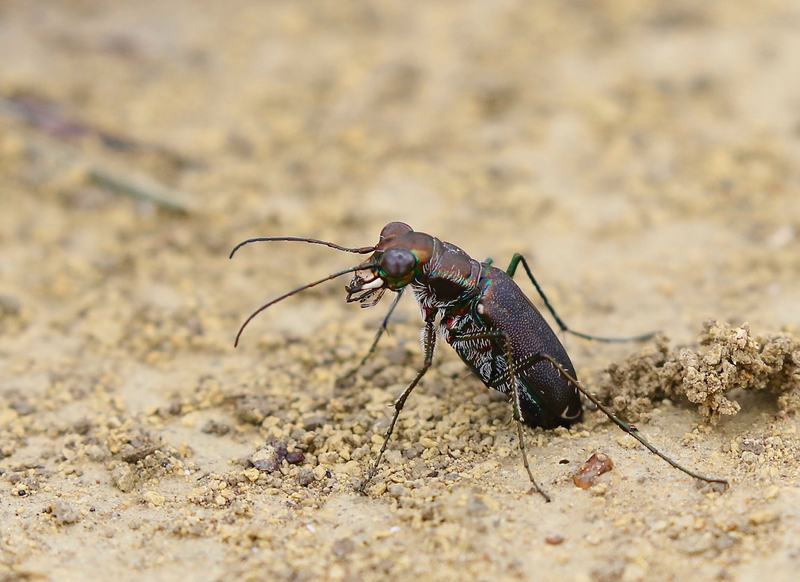 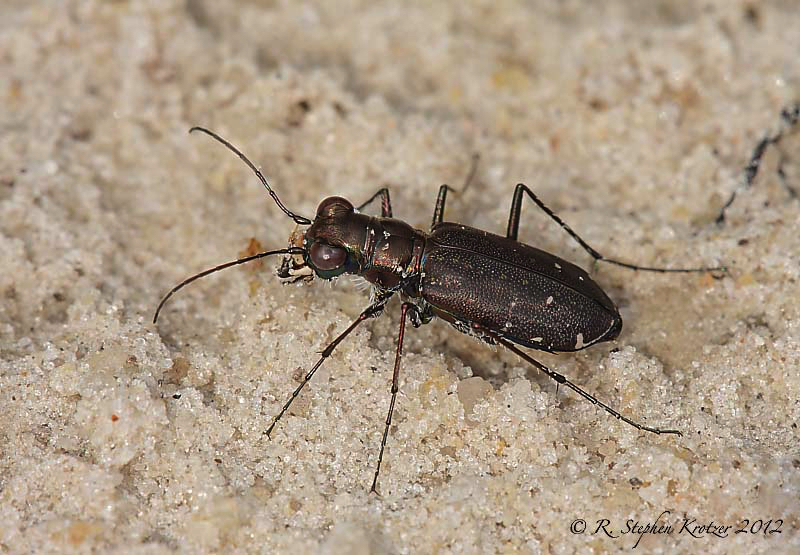 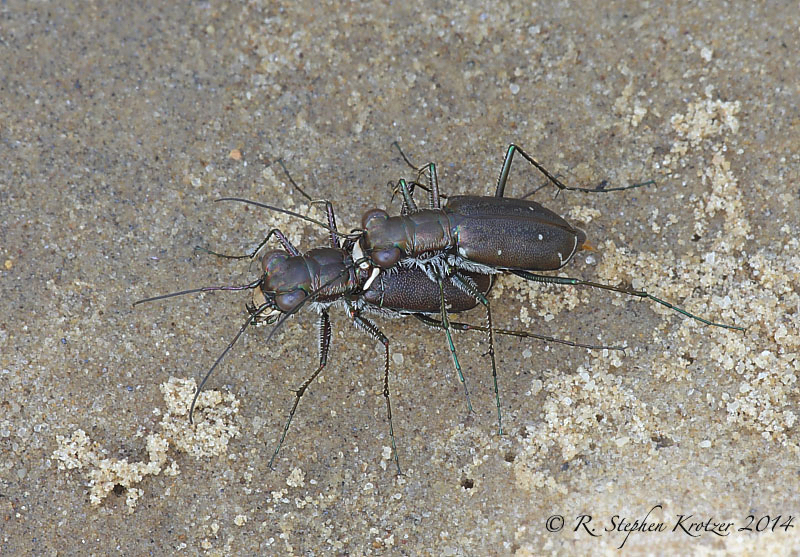 Cicindela punctulata is one of the most common and widespread tiger beetles throughout its range, including Alabama and Mississippi. 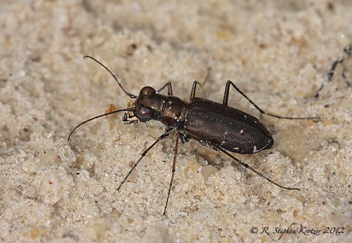 In our area the species is not usually associated with water, seeming to prefer hard soils with sparse vegetation. 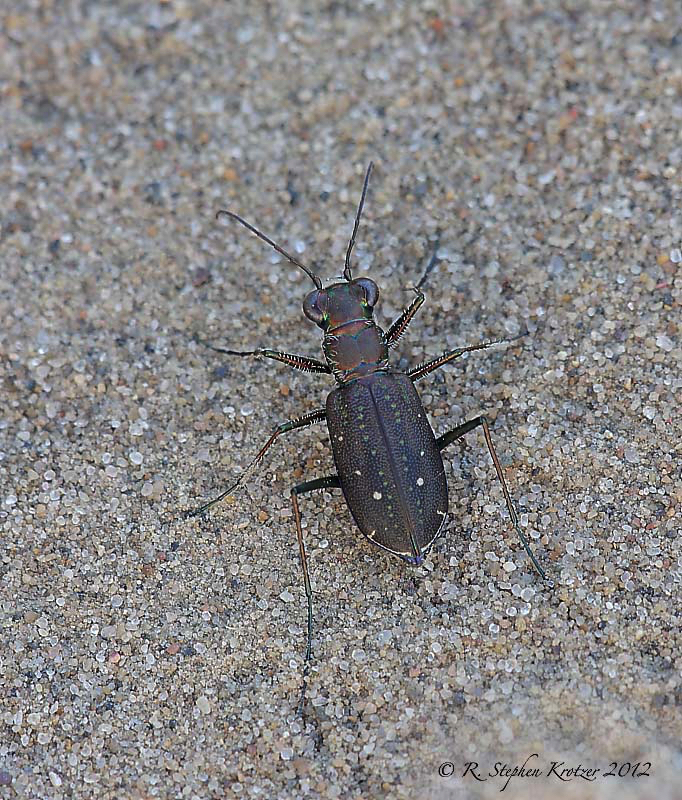 Typical habitats include dirt paths, pastures, sand pits, sidewalks, and edges of lawns or cultivated fields. 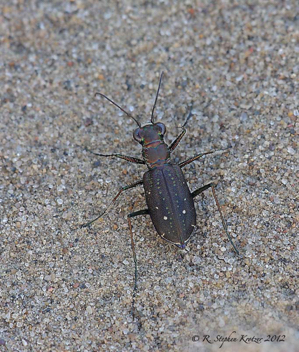 It tends to be solitary in nature and is most active in the summer, although adults have been found in the South from April to November. 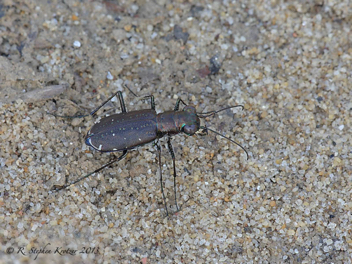 Easily identified by the row of small pits on either side of the midline, as can be seen in the first photo below.